Bauer Latoza Studio’s Edward Torrez joined preservationists and community activists for the LATINOS IN HERITAGE CONSERVATION (LHC) national summit in May 2015 in Tucson, AZ. 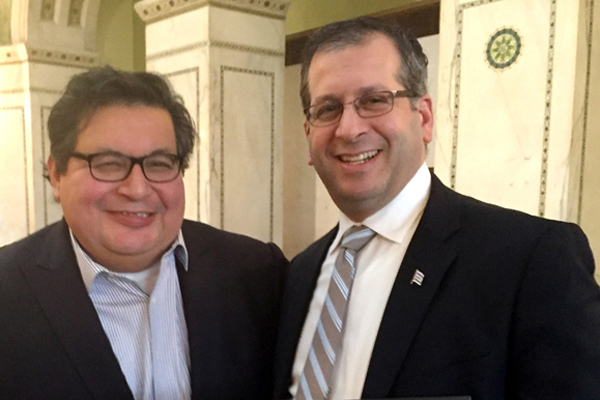 As a member of the LHC Steering Committee, Ed met to discuss future direction for efforts to preserve important Latina/o cultural heritage sites in communities across the U.S. The summit was hosted by the Tucson Historic Preservation Foundation and the University of Arizona Heritage Conservation Program. 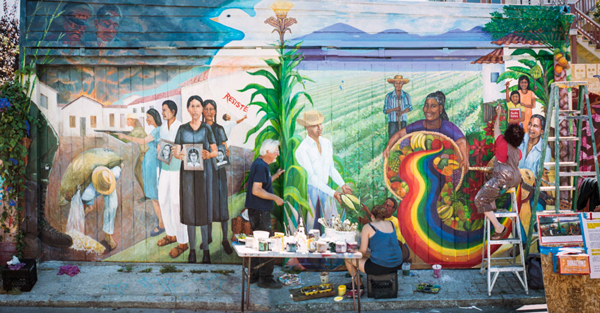 Artists work on a mural in Balmy Alley – a cultural heritage site located in San Francisco, CA. Edward Torrez was among 150 architects and associates who met with legislators in Springfield, IL to discuss issues important to the profession such as SB 1642 – the River Edge Historic Tax Credit which would provide incentives to the private sector to revitalize properties and repopulate historic areas in the river towns of Aurora, East St. Louis, Elgin, Peoria, and Rockford. 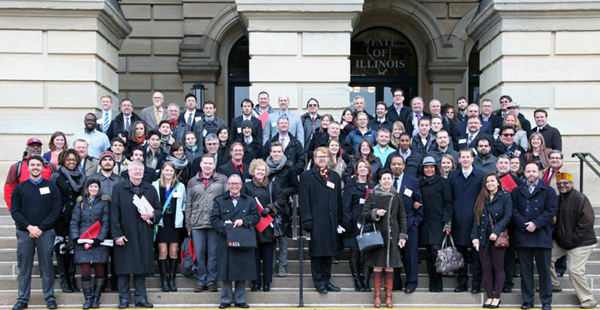 Preservation enthusiasts gathered on the stairs of the Illinois State Capitol for AIA Lobby Day. 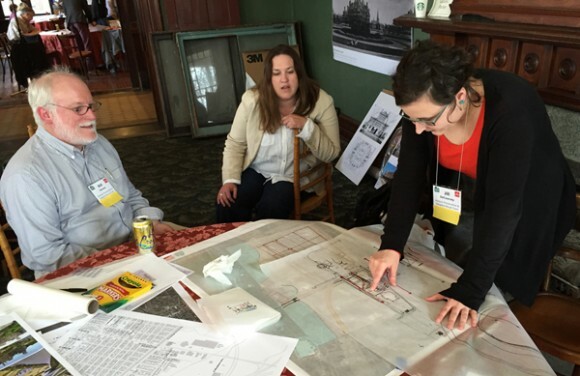 Bauer Latoza Studio’s Edward Torrez and Jill DeCoursey joined forces with other urban planners, architects, landscape architects, engineers, economists, and historians in April 2015 for the three-day workshop — POSITIONING PULLMAN. Ed led the Historic Preservation team and Jill lent her technical expertise for the development of this important urban treasure. The event was hosted by the National Parks Conservation Association and the American Institute of Architects-Chicago. Jill DeCoursey, Architectural Designer, Bauer Latoza Studio, works with National Parks Service personnel in developing a plan for the Pullman National Monument.